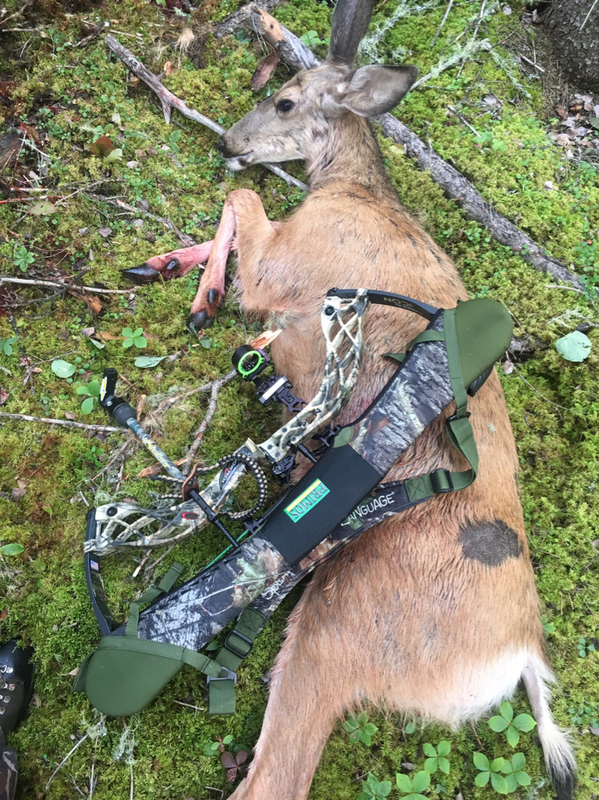 2017 Archery Harvest Thread...post your pics! That time again I know a few cutters went down today already. Let's keep it clean and respectful, post your archery successes here. I'll go she's not a 400in elk but it's my first deer with my bow and I am happy. Now to go out and get that elk. I am still trying to figure out how to embed photos from my phone. Congratulations on your first bow deer. !! Congrats on your first deer with a bow! Gotta get the thread started with something! I got a feeling come Monday the pics will start filtering in on this thread! Going to be out most of the first 4 days of the south season and hope I get to post one myself! Ok I think I figured out this photo thing posting my doe from earlier. Didn't like the fact that random people could see my pics on Imgur had some strange comments there. Apologies for the double really wanted to figure out the photo thing. I couldn't be prouder... his first shot wasn't the greatest, but the follow up shot was perfect. Big buck down! Doing better than dad, did you not shoot 5 moose last year before dropping one? Good job kid. Nice buck. "We're not polishing fine china here"-Belichick. Congratulations to the young fella and his amazing Mulie buck. That must have been a great father son experience. Really nice buck! i can't stress my opinion enough - on moose sized game, they get almost no penetration, and if you hit bone, they almost stop dead. Two years ago i finally got my prairie moose draw, and after three wounded bulls (all three i hit exactly where i was aiming and less than 40 yard shots), i switched out to my tried and true montecs and got my bull the following week. I might have hit the shoulder blade with one of the shots, but definitely not with the other two. I think i got unlucky and hit ribs with the other two shots - either way, the arrows stopped - and one shot it actually "bounced" back. I'm an outfitter, and a couple years ago had a guy up who killed a mule deer with a perfectly placed shot with a toxic broad head. He said they were great for whitetails back home, so maybe the problem was with the thicker bones on the bulls i hit - i don't know. 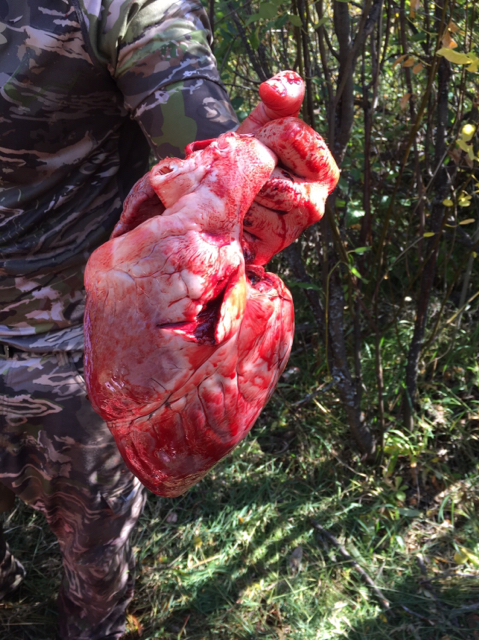 All i can say is that i would rather stick with simple, one-piece broadheads. I can't say enough about montecs. Arrowed a grouse this morning but didn't really think to take a picture. It was a ruffie, I'm sure you can all picture it in your minds. Anyone else wishin for snow already? Congrats to your son Sage, great buck! Played around with a little bull tonight, could have easily had meat on the pole but its early in the season and he was just a young bull. Normally he would be exactly what I'm looking for but I figured I let him live. Shooting a bull in the evening isn't really my idea of a fun evening either. Saw 4 different bulls in 2 days, I don't think I'll have a hard time filling the tag this year. Good luck to everyone this season, I hope we get some more picks posted before the weekend is through! Words can describe how psyched I am right now after 11 days of 430 am starts 125km on my boots. 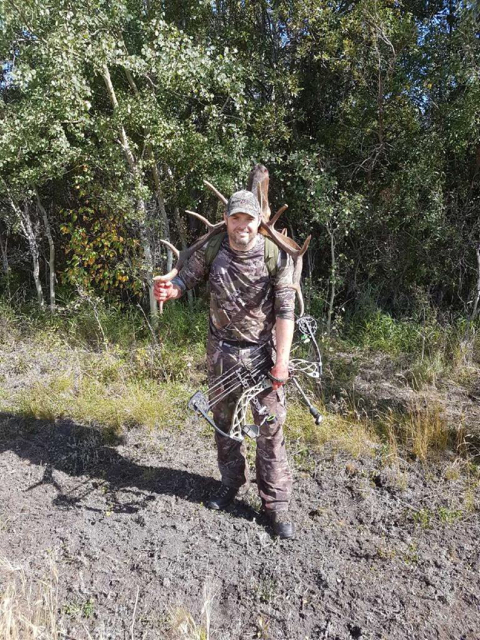 I was able to put together a stalk on this bull this afternoon. 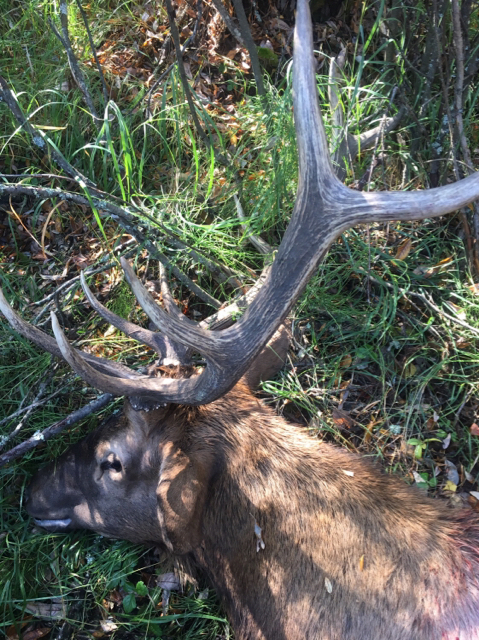 My first bull elk and my first with the bow. Put out the bull down call got some help and had him in a walk in cooler 3hours later. winner of the first annual CoyoteHunter.net tournament seiries. 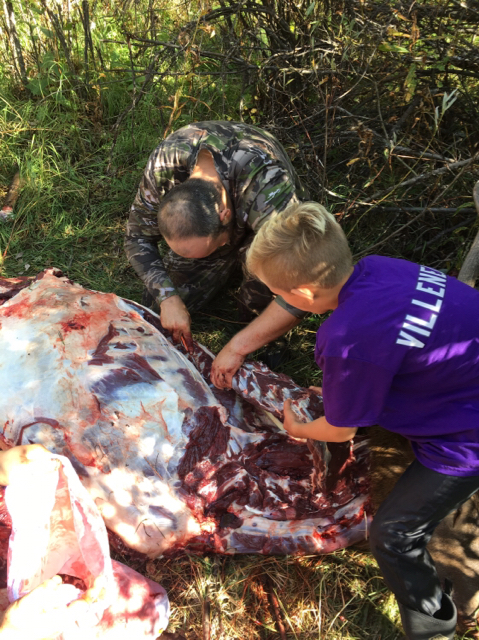 The smile on your face says it all, the kid helping you pack out the meat. Now that's what life is all about dude! My nephew he was pretty excited to come help was right in there helping all he could. 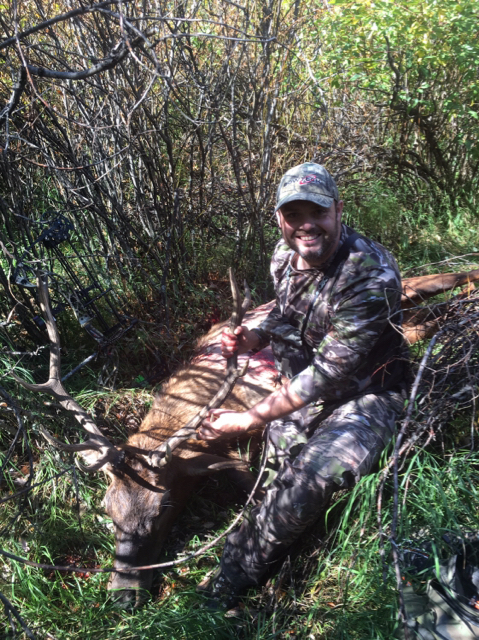 I was pretty psyched that my brother got that pic of him helping with the Backstrap it's honestly my favourite of all of them. 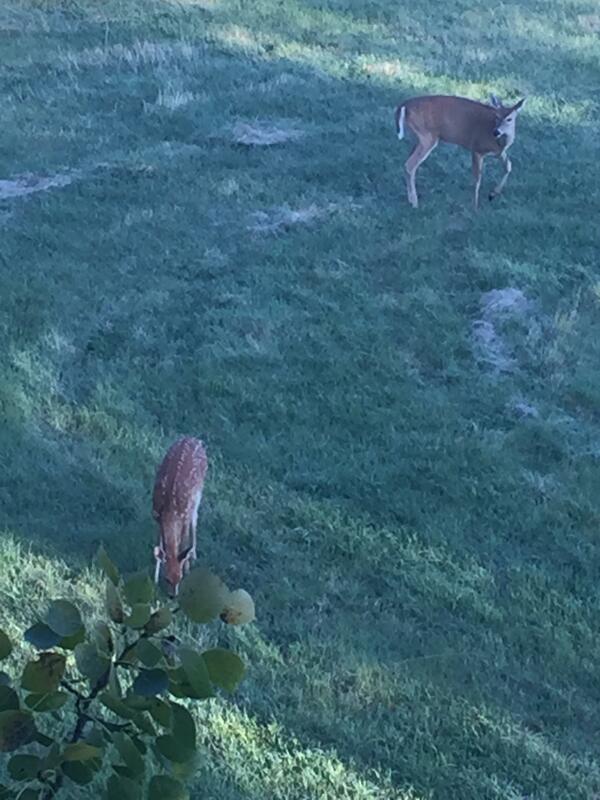 Could have filled antlerless tags...but was content just watching this morning. Man I love seeing lots of Fawns.. Especially in areas where I know a few big bucks roam. Just keep dreaming of the next big generation of bucks and how they will look.